Printing services in Bluffton and Beaufort by Accurate Reproductions is a resource you need for your business. Why own the equipment when you can outsource this job. Accurate Reproductions can accept your files via email or we are happy to pick up and deliver right to your door. The Accurate Reproductions high-speed digital printing service creates your prints in a crisp, high quality original, printed directly from your digital files. We can print up to 44″ wide in color and your design files can be produced to a variety of media including standard bond, presentation bond, vellum or mylar. Multiple file types are accepted, and our high-speed color plotters, make it easy to handle your big job. Your original plans and blueprints and be scanned for document reproduction up to 36″ wide. 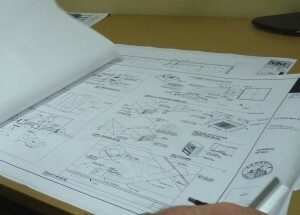 If you need one or a bulk order, Accurate Reproductions is equipped to easily accommodate your needs. Your documents can be scanned from multiple file types including PDF, TIF and JPEG. Document management is an important part of any project, and your files can be archived into a media type of your choosing. We offer a wide selection of graphics printing, including indoor and outdoor signage, retail signage, banners and trade show booth printing. Each element is reproduced in high quality production. Our small format copying and printing services include reproducing basic black and white documents, to high-speed color printing. Manuals, presentations and binding are just a few of our specialties.